Nikki Beach Mallorca – part of the newly named Calvià Beach Resort – offers complimentary yacht pick-up service, oversized white day beds, and a New World cuisine menu including gazpacho priced at €11, and sautéed sea bass at €28. Calvià Beach Resort is clearly targeting a more upmarket clientele than the hens and stags downing cheap drinks at the far end of the beach. Once known just for its cheap sun’n’sand package holidays, Mallorca now offers everything the discerning traveller could want on vacation, including more than 30 5-star hotels. In 2007, when the Dubai-based Jumeirah Group announced that its first European resort hotel would be in Mallorca, and was “expected to redefine the luxury resort standard throughout Mallorca and the rest of Spain”, media reports suggested that the new hotel in the northwest resort of Port Sóller would have a “7-star” classification. Of course, there’s no such rating, but the rumours reflected the excitement generated by the prospect of this prestigious global brand coming to the island. 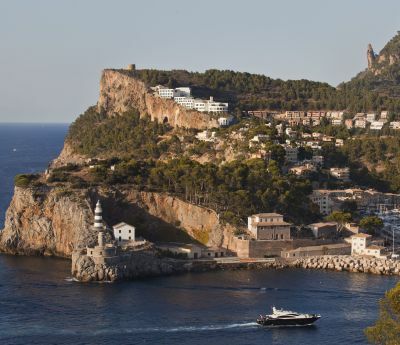 During the past five years of the hotel’s development, Port Sóller itself has also been the subject of investment, with improvements to the port, road network and local businesses, including other hotels, restaurants and bars. For the less wealthy the Palma to Sóller railway is a wonderful way to get to the seaside village. Normally it does not run in December and January for maintenance. By road from the airport reckon on one hour. The Jumeirah Port Sóller Hotel & Spa finally opened its doors in spring 2012, and now rivals the southwest’s St Regis Mardavall Mallorca Resort for the title of Mallorca’s best hotel. The new property encompasses 11 low-rise white-painted buildings, located on the side of a headland and offering spectacular views over the horseshoe-shaped port, open sea, and imposing Tramuntana mountain range (designated a UNESCO World Heritage Site in 2011). Facilities include 120 guest rooms and suites; Cap Roig and Es Fanals restaurants; two pools – each with its own bar; lobby bar, Sunset Lounge, and 2,200 sqm Talise Spa, with 10 treatment rooms and a hammam and rasul suite. The hotel’s interior design incorporates Mallorcan influences and materials, such as pine and olive wood, and the attractive local stone that is a feature of the island. 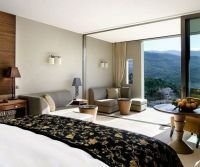 Guest rooms are spacious and well-equipped, and all have large balconies or terraces and beautiful views. Amenities include Nespresso machine, Bose docking station, Bulgari toiletries, free wi-fi, and a sliding table-top panel revealing facilities to connect and charge all manner of portable electronic devices. The hotel is also home to a collection of some 400 original works of art by Mallorcan artists: the art in sea-view rooms feature mountain scenes, and in mountain-view rooms, the sea. Accommodation rates (including breakfast) in high season range from €600 a night for a Superior room to €3,375 for the best suite, aptly named The Observatory. The hotel is family-friendly and a quick visit to the Barbaroja Kids’ Club revealed plenty of potential for daytime fun for guests aged 3 to 12, giving mum and dad time to enjoy a leisurely swim in the infinity pool or a spa treatment. There are of course deals available off season. Although aimed at the leisure market, the hotel has excellent meeting and conference facilities, with the benefit of natural daylight, sea views and private terraces. Already, the hotel has hosted a car event for Audi, and the hotel clearly has potential in the incentive travel market. For those with their own top-of-the-range floating accommodation, Mallorca now has what is being described as the Mediterranean’s best super yacht marina. The original Port Adriano opened as a marina in 1974 but has recently undergone an extensive Philippe Starck redesign and expansion. 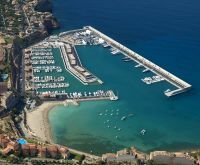 On the far west tip of the island, and 20km from the capital, Palma, the recently opened new-look Port Adriano now has year-round mooring for 82 yachts up to 80m in length and summertime only mooring for 100m vessels. The €90m project includes nautical and leisure facilities, such as fashion boutiques, restaurants, cocktail bars, and parking for 800 cars. For the 5-star version of private accommodation rental Balearic Discovery has recently expanded its portfolio to meet the growing demand for luxurious contemporary properties. The Mallorca-based tailor-made travel specialists can also arrange services such as a private chef, nanny, helicopter picnic, wine-and-chocolate tasting, and poolside pampering treatments. When it comes to dining out, two restaurants gained a first Michelin star for their cuisine for this year (El Jardín in Port Alcúdia, and Es Fum, at the St Regis Mardavall Mallorca Resort), bringing the total number of starred restaurants on the island to five. With its wealth of gastronomy, 5-star hotels, superyacht marina, and high-spec contemporary private property to rent, Mallorca – like Miami Beach, St Tropez and St Barths – certainly has what it takes to satisfy today’s luxury-seeking traveller.